As we await yet another further prohibitive immigration act, theorists often look to the past to explain how we arrived here. Competing dates, normally relating to a Act of Parliament or series of legislative acts when it all started to go wrong are held up to be the ‘turning point’. But just when was that? The 1999 Immigration & Asylum Act would be perhaps the most recent starting point we could look at. This is significant, as it was the first time Asylum Seekers (formally commonly known as Refugees) became ineligible for welfare benefits that UK citizens were able to claim. A seperate and inferior system of social security was set-up. Money was replaced with vouchers and Housing Benefit was replaced with no choice accommodation (provided by private contractors). The right to work for Asylum seekers had already been restricted by the Asylum and Immigration Act 1996. Together, these restrictions effectively ghettoised this part of the population. So, maybe we should start here? Indeed, outside of Parliament the 1990’s were the time when the phrase ‘Asylum Seeker’ was often qualified with ‘bogus’ or ‘illegal’ by many tabloid editors. Incarceration of asylum seekers and other migrants started to become the norm rather than the exception. Securitization of immigration policy across the richer nationals grew at this point, especially post 9-11. 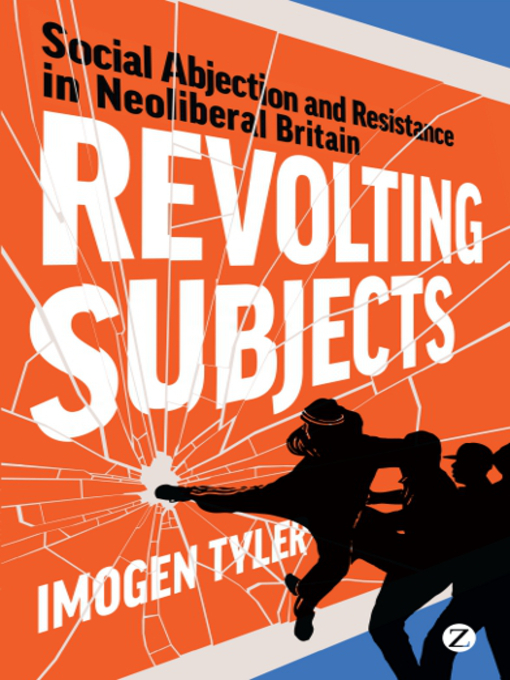 Imogen Tyler in Social Abjection and Resistance in Neoliberal Britain: Revolting Subjects (2013) locates the beginning of the real slide to the 1981 Nationality Act (though she also acknowledges it’s forebears). This also seems a reasonable starting point as Tyler says it contains for the first time the power for the British state to revoke someones citizenship “…if it is conducive to the public good” – as long as they had dual nationality. This power lay pretty much dormant until Teresa May became Home Secretary, stripping a unprecedented 20 people of citizenship in 2013, two of these these lost their lives in drone strikes – presumably their new non-citizenship being the go-ahead for the murders. Even those without dual nationality will be vulnerable to these powers under the 2014 Immigration Bill (See Stateless Terrorists). For Tyler, the most damaging part of 1981 Act was to “remove the entitlements to citizenship from British nationals in the Commonwealth…”. Residency was no longer a right to those born in the former colonies, unless you could trace your ancestors back to ‘Mother England’- a de facto colour bar as Tyler notes. She convincingly concludes: “The passage of this act…was thus a significant event in the history of British race relations…when, through citizenship racism was implicitly incorporated within the judicial body of the state…”. Certainly, I can bear witness to the significance of this as many Jamaican nationals are forced to spend years reporting to my local border post despite strong family ties to the UK – waiting ‘regularisation’ that may never come. The abolition of birth right citizenship (Jus Soli) adds weight to Tylers’ case – the fact that you can be born here and grow up without the right to remain. This of course was also the age of the new radical Conservative government, a set of racialised riots and the neo-jingoism of the Falklands conflict. The Independence of former British colonies, and the restrictive legislative reaction to the possible influx of former subjects – with the : Commonwealth Immigrants Act 1962 which restricting subjects from those countries the right to residence in the UK could also perhaps be put forward? Those without a sense of irony may suggest it was the decline of the British Empire which is at the root cause of our harsh immigration policy. Until 1948 we were all British Subjects. However, the British Nationality Act 1948 only replaced subjecthood with citizenship -so no one seems to be trying to locate it there. British Nationality and Status of Aliens Act 1914 according to some historians is where immigration restrictions start. With the increase of the minority ethnic population in Britain from the turn of the century, popular concerns about interracial relationships grew. ‘Aliens’ – that is, foreign-born residents had to carry a registration card. 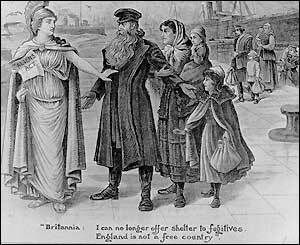 British women across the Empire who married such men automatically lost their British nationality. However, while the onus to carry ID cards for ‘aliens’ seems to foreshadow similar conditions for asylum seekers today, the first 20th century racialised restrictions came in the Aliens Act 1905. The law apparently had little practical effect, but it is significant in two ways. First of all it anticipates the way that right-wing lobbying effects immigration on the 20th & early 21st Centuries. Also, its main aim to stop “paupers” and “criminals” from entering the country forms a continuum with much earlier legislation. Controlling the movement of the poor has always been a preoccupation of the British State – and before that the English Crown. Bridget Anderson in Us and Them: The Dangerous Politics of Immigration Controls(2013) makes a case for a start date of 1349. This was the date when the Statute of Ordinance (later to become 1351 Statute of Labourers) was made into law. In a country ravished by the Black Death an acute labour shortage appeared. This meant that serfs once tied to estates, fled their tied labour conditions often for better conditions in towns which where they had no feudal obligations. The statute aimed to keep wages down to pre-plague levels. It also attempted to enforce labour contracts by the threat of imprisonment. Lastly, anyone found “idle” would be forced into (unpaid) service. Most relevantly the 1388 Statute of Cambridge forbid a “servant or labourer” leaving their parish, unless they had a “letter patent” – a medieval forerunner of a passport. Idleness or “vagrancy” became the threat of the Elizabethan ‘Golden Age’. The prosperity of the state did not mean any generosity towards those “masterless men” who appeared under -employed and therefore a threat. “Great national searches” were carried out looking for these “valiant beggars” in which a staggering 13,000 people were rounded up and punished. Those who are apparently idle today are also being “rounded-up”. Those who choose to live in rent free accommodation (squatting) have recently seen their way of living outlawed and imprisoned (Legal Aid, Sentencing and Punishment of Offenders Act 2012). Vagrancy is also an apparent priority today: “The Met says it has “joined forces” with six London boroughs, including Croydon, to “combat begging and rough sleeping”. UK Border Force are also involved. A soup kitchen was closed down and police seized food & sleeping bags to “reduce the negative impact of rough sleepers”. UK Border Force are also involved and those who are (EU) foreign nationals are likely to be deported as they have “no visible means of support”. This a partial and parochial account of how we got where we are today. The impact of technologies of control from the Birth Registry to the iris scanner are not mentioned. Neither are developments outside the British State examined, and perhaps most importantly the intersecting histories of capitalism and colonialism – which the two books I have mentioned address. Where do you think it all went wrong? I would argue that the foundation of the modern immigration control system in Britain is the Immigration Act 1971. This abolished all distinction between ‘alien’ and ‘Commonwealth’ citizen and made all conditions of entry based on a person’s ancestral link to the UK. It also put in place the measures that other agencies could take to conduct post-entry controls, such as the linking of the police, the DHSS, the NHS into the immigration control system.